Grant an Orphan’s Christmas Wish! 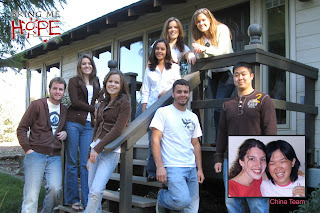 This entry was posted in Bring Me Hope News on December 19, 2007 by admin. Merry Christmas, from all of us to all of you! This entry was posted in Bring Me Hope News on December 12, 2007 by admin. I’m so excited to send you this email! We have been working for 3 years to prepare for the Beijing Olympics. Last month I flew to Texas to meet with the directors of the USA Olympians Association. We have many Olympic athletes who want to get involved in our summer camps, so I can’t wait to see what God does for the orphans in Beijing, 2008! The Bring Me Hope team recently finished a very successful speaking tour in New Jersey and Pennsylvania. During that time, we spoke at small groups, Bible studies, house parties, and a church service. 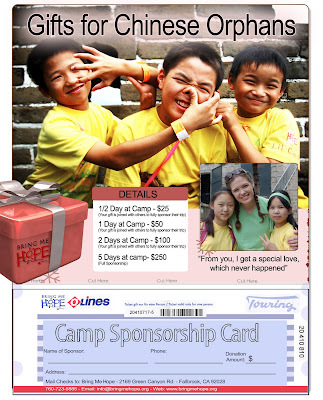 Our goal was to reach people about the needs of Chinese orphans and offer ways for them to get involved. The week ended with a benefit show which featured the band “Unspoken” and ventriloquist Jim Adams. It was wonderful to spend time with old friends and meet new friends during our time on the east coast. A big thanks to everyone who made the tour possible! 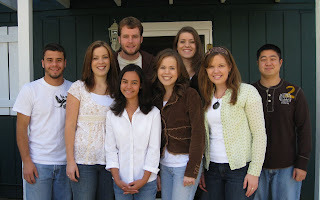 ~The Bring Me Hope team. This entry was posted in Bring Me Hope News on December 10, 2007 by admin.